I'll bet you didn't know that January is National Hot Tea Month. It's not terribly surprising that the coldest month of the year for half of the world is the month celebrating hot tea, but I was still delighted when I found out. I've been dabbling in tea for a few years now and am making my way up the Ladder of Snobbery. I have come to the place where the best tasting teas (in my opinion) are plain or non-fruity flavoured black teas made with water brought to a rapid boil, and the leaves are steeped for 4 minutes in a glass or ceramic pot. I look forward to my morning tea every day. I drink it with cream or milk, no sugar and love it best when it's almost too hot to even drink. You see. Snob with a capital S.
But I'm not a full-out tea snob. I think tea is like wine, there's no "right" one to drink and no "right" way to drink it. The only right way is the way you like it. Some people like it lukewarm and steeped to the point of bitter with lots of sugar. 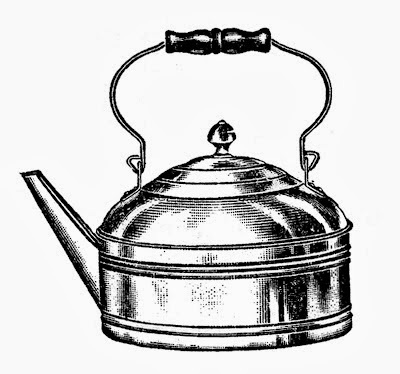 Others love particular brands of tea, or particular types of leaves. I say - make it how you love it and drink up. So in honour of National Hot Tea Month, perhaps you might enjoy a little rundown on all things tea. According to the ever-informative Wikipedia, it's likely that tea originated in Yunnan, China between 1500 BC and 1046 BC as a medicinal drink, although there are as many myths out there as there are blends of teas. It wasn't introduced until the 16th century, and then mostly to Portuguese priests and merchants in China, yet the first records of tea being bought and sold occur first in the 870's. 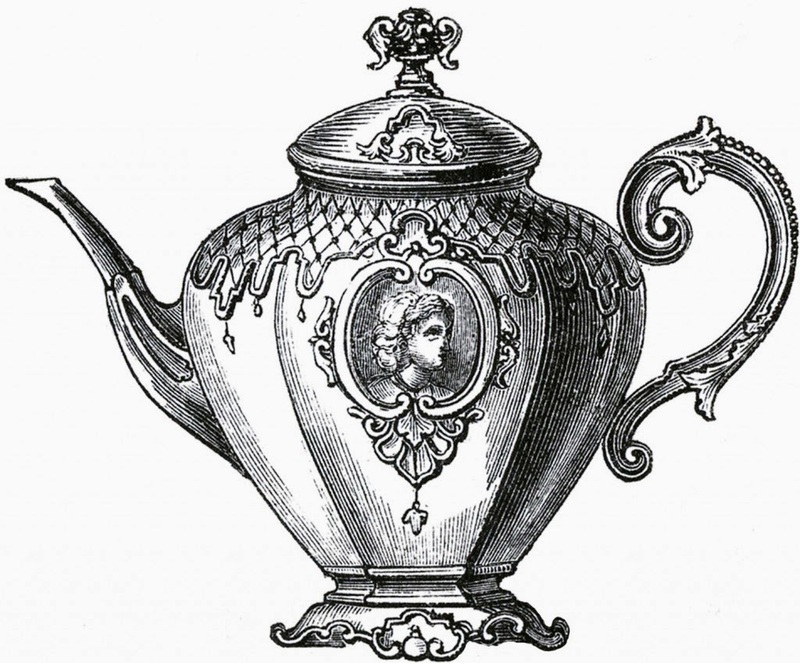 It became a wildly popular drink in Britain in the 17th century and it was the British who introduced tea production, and consumption, to India in an attempt to compete with the Chinese monopoly on tea. At the moment, tea is the second-most consumed beverage, next to water of course. There are six different types of tea, which are divided based on how they are processed. They are: White, Oolong, Yellow, Green, Black and Post-Fermented Black (which I believe is also called Pu-erh tea). Tea comes from the leaves of the evergreen Camillia Sinensis plant which are picked and immediately dried. The drying process turns the leaves black as the chlorophyll in the leaves break down and tannins are released. The process is halted at different stages with heat, and the tea must be packed and shipped very carefully as it is quite susceptible to moulds and easily retains odours, which is both a desirable trait as well as an undesirable one. Black Tea:This is a fully oxidized, withered and dried tea. Most breakfast teas fall under this category: ie. English and Irish Breakfast Teas and Darjeeling tea. Green Tea:This tea is processed in such a way as to retain it's colour. In Japan it is steamed, in other countries it is pan-fired or specially dried. It has a very delicate flavour and must never be steeped in boiling water. Oolong Tea:Oolong comes mainly from China or Taiwan and it's leaves are only partially oxidized. This means that it can have a range of flavours, from green tea right up to black tea flavours, depending on where it's grown and how it's made. Yellow Tea:Processed in a similar way as green tea, yellow tea is one of the rarest types of tea. The leaves are dried very slowly so as to keep the yellow colour. This tea is withered and dried in a manner that causes light oxidation (the more oxidized a tea is, the darker in colour it is). It is a delicate tea, similar to green, that should never be steeped in boiling water. Post-Fermented Black Tea or Pu-erh Tea:This tea comes exclusively from China and is stored underground, fermenting, for several years. Understandably, it can be quite expensive. These infusions, while they are packaged and prepared in the same way as tea, are not to be confused with teas as they don't contain tea leaves of any sort (Rooibos falls into this category). They are quite simply combinations of fruits, nuts, barks, herbs, spices, roots, berries and seeds. They're usually referred to as "herbal tea" or "tisane". Generally speaking, all that can be stated with regards to caffeine content is that all (real, not herbal) tea contains caffeine, it contains less caffeine than coffee and that decaffeinated teas still retain some caffeine. After that, it's anybody's guess. I've heard a rumour that the tea that we buy in the grocery store, that is, the box of 100 bags of orange pekoe tea obtained for $3.99, contains the lowest quality tea possible - the absolute dregs of the barrel. And that may be true. But after I got over the initial shock I thought, who cares? If that's what you like, that's what you like. And the same goes for how you make your tea. What follows are the generally accepted instructions on making tea and I'd encourage you, just for fun, to try your favourite tea prepared in the "proper" way - just to see if you like it. That's what happened to me. 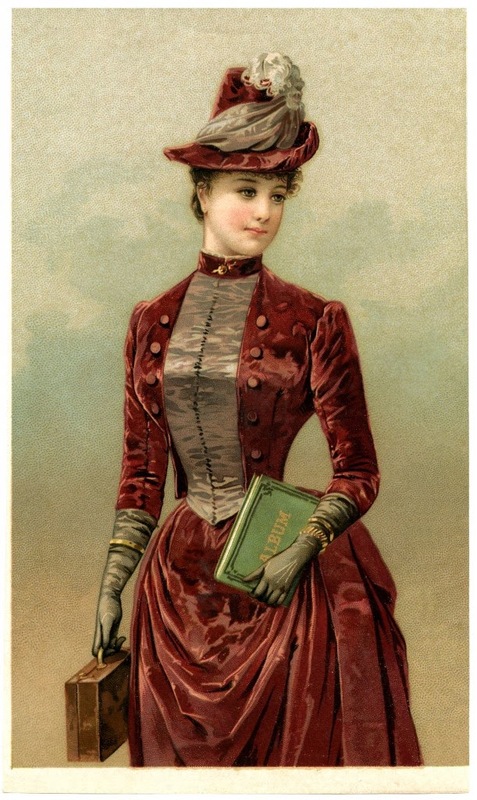 I used to be a "one-brand-woman". It was a certain brand of orange pekoe black tea and I hadn't given a second thought as to how I liked it prepared. I'd just throw some hot-ish water at a teabag, pour in a load of milk and sugar and voila. But all that changed one day when I happened to hear a call-in radio show with a guest who spoke about her adventures as the quality control person in a tea factory in India. She explained, in detail, what goes into making the "perfect" cup of tea, and I set out the next day to try it. I found that I loved black tea steeped for at least 4 minutes - anything less is weak and anything more is bitter (in my opinion). I don't mind weak tea, but I really don't like bitter. Black and Post Fermented BlackTeas should be steeped in water between 195f and 202f for 2-4 minutes. Green and White Teas should be steeped in water 175f for 1-1.5 minutes. Oolong Tea should be steeped in water 195f for 3 minutes. **For a stronger flavoured tea, add more leaves, not more time to steeping. Also, generally speaking kettles don't have thermometers on them (although there are some kettles out there that do). Water boils at 212f so for green and white tea, the water can be taken off the heat shortly before boiling. It might take some trial and error, but that's the fun part. For black and oolong teas, the water can be boiled and rest for a minute before pouring on leaves. **One more thing - warming the pot. It's a good thing to do before making a pot as pouring hot water into a cold vessel can shatter it. But even if the pot isn't ice cold, pouring hot water into a not-hot teapot takes heat away from the tea - it cools the tea down - which, I'm told, does something different to the flavour. There's so much more to be said about tea - both generally and specifically - but I won't bore you with it. Instead why don't you try some yourself? Pick up a new tea and make it this week. My husband, for my birthday, bought me an advent calendar of sorts, but instead of chocolates hiding under each little door, there is a new type of tea. I had my first pu-erh tea not too long ago, which I liked but felt somewhat shaky afterwards (I suppose it has much more caffeine than I'm used to) and I'm on my way to trying some new and different green teas, an oolong tea and also my first yerba mate. 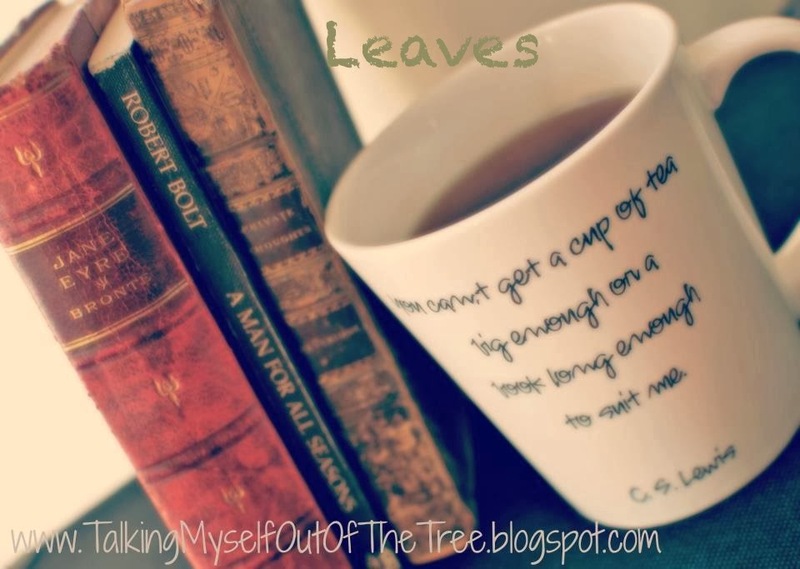 Oh and by the way, every once in a while we want to know what you're reading and what you're drinking, so stop by our "Leaves" posts and tell us what fills your teacup. I'm always on the market for something new. Thanks for this, so informative! I really like tea and hope to try to make my favorite tea the proper way.